Need a new setting with fun for the whole family? Our hotel is the ideal place to take a vacation with kids! Our hotel is situated right across the road from the ski area so you don’t need to pack the car daily to go skiing! There are also walks great for the family that start when you step out the door! Family friendly is not a term we take lightly, which means that your kids can play, be themselves and have a great time in the playroom. The local Ski schools offer kids ski courses and babysitting services, Hochoetz will definitely be a highlight for the kids! 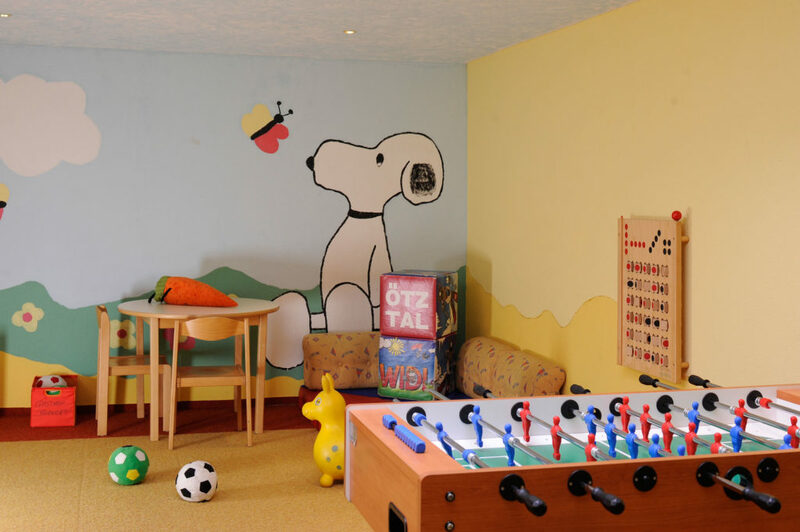 The playroom is in the basement but has loads of light thanks to a skylight window, it is cosy room there for your kids to use and let of some steam. Just a few minutes walk from the hotel is the Forest Playground Ochsenbrunn. The playground is set up with stations and is orientated around the theme of ‘Ochsen’ meaning Ox in English. The ‘Adventure’ stations make for a fun activity for Kids and Adults alike! Shoes off, socks off and wade though the pure mountain water, bare foot, to cool down after a hike. Build a dam with the kids, have a water fight….the possibilities are never ending at the stream have a paddle and enjoy the natural scenery. Day Trips-everyday a new Experience! 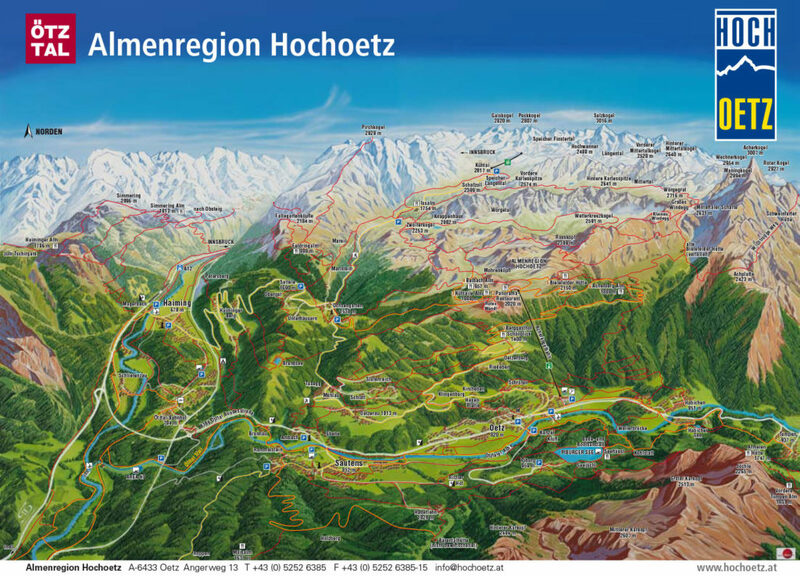 If you feel like doing something different today there are possibilities outside of Ochsengarten for example the Alpine Coaster in Imst, the thermal pools in Längenfeld ‘Aqua Dome’ the Ötzi museum in Umhausen or the Play-paradise Widiversum in Hochoetz and much more! Our main priority at Hochoetz is Top quality and we like to call ourselves family friendly! We have wide paths heading to the huts most are even good enough to use a push chair. At the family hiking paradise Hochoetz we have made the the whole idea of hiking just that wee bit more fun the kids with tracks that have a historical background for example mines from the middle ages. On the ‘Knappenweg’ a ridgeway between Hochoetz and Kühtai has stunning scenery typical to the region you can follow in the footsteps of the miners starting at the Hochoetz restaurant and completing the stations via the Bielefeld hut continuing to the crushing mill (where they use to break down stone) and the restored miner’s house. 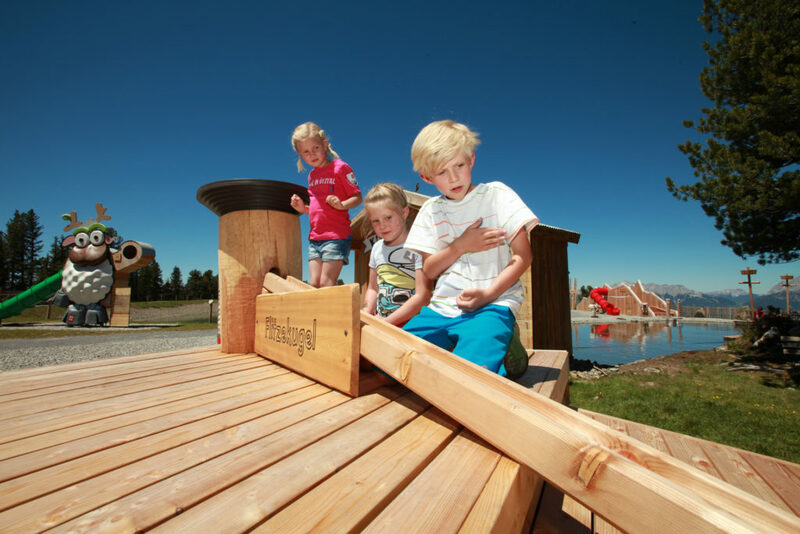 Here we have 17 creative games and brain teasers around the lake on Hochoetz (a water store for the snow cannons in winter) providing it a fun atmosphere for family’s. 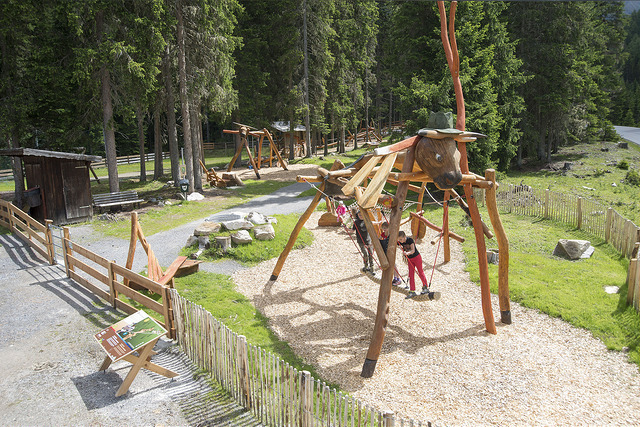 The learn and play stations invite adventure while learning interesting things about Ötztal that you never would have thought of. For example Ötztal’s natural treasures. If you can work out the brain teasers and find the crystal get ready to receive a surprise at the end! ‘Widi’ (the Hochötz mascot) and his friends hope to see his little helpers at Hochötz to enjoy an adventure or two. A great place for nature loving kids to enjoy their summer holiday with loads to learn and explore. Included in the programme is a diverse mixture of mountain, water, action and fun. The programme runs from Monday till Friday with a well trained team taking on kids from the age of 3 and upwars. It is also possible for parents or grandparents to tag along.